Do you believe in angels? 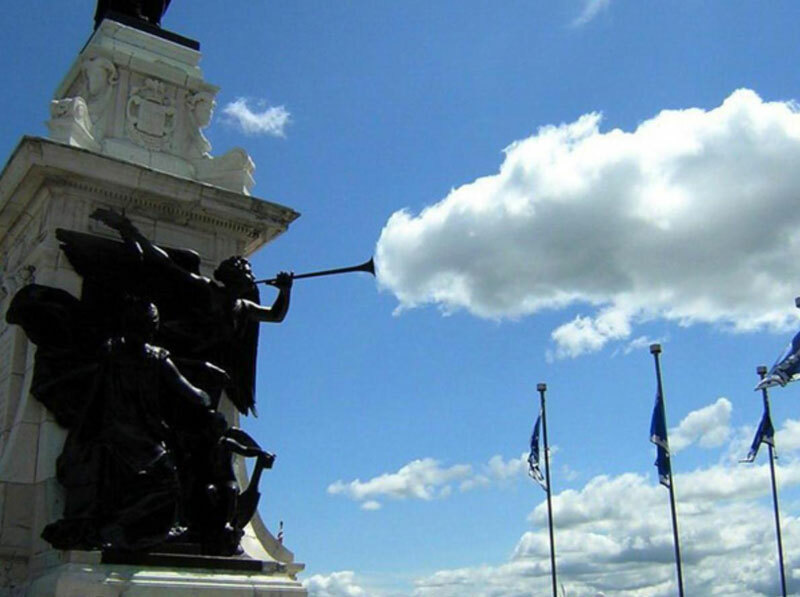 Are there angels among us? I recently read that the word “angel” comes from the Greek word for gospel, euangelion. “Eu” means good and “angelion” means tiding or message. An angel then, is a messenger. Since their roots are in the gospel, they are truly God’s messengers. I’ve never been someone who’s infatuated or interested in angels, but I have known them to be in action and I count on them to guard and guide friends and family. In my mind, they are unseen protectors and dependable companions in the storms of life. Angels protected my sister and her family when they were T-boned last week the day before they were leaving to drive to Austin to see my niece’s new baby. When Kristen’s car got stuck in flood waters last spring, Angels were there to get her out safely. And if anyone can convince me that my guardian angel hasn’t walked beside me through my whole life, a life of good choices and bad ones, I’d like to hear your arguments. 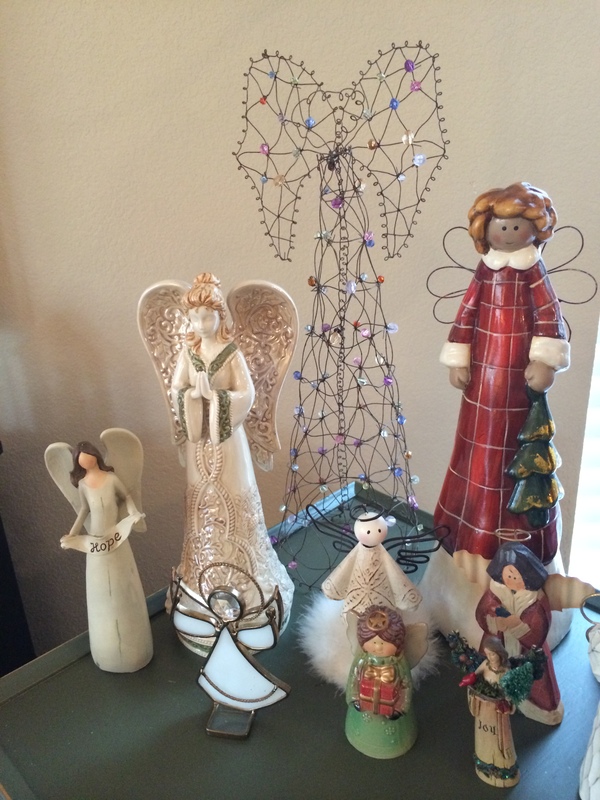 Christmas is a sort of angelic “high season.” Every nativity scene includes one and you see them everywhere. In churches, cars, and caroling you sing about them. I have a collection of them that I put out each Christmas and they played pivotal roles in the Christmas story. In short, you can’t escape angels during this time of the year even if you try! An angel told Mary she was with child. 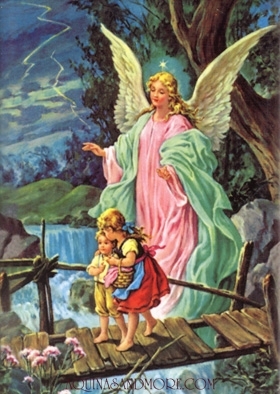 Interestingly enough, this angel was probably a little scary to poor, young Mary. Not the message she was thinking she’d hear but she nonetheless saw the Godliness in the angel and its message and said “yes” to God. Angels were created good by God and serve Him as His messengers to humankind. Catholics believe there are nine choirs of angels: seraphim, cherubim, thrones, dominations, virtues, powers, principalities, archangels, and angels and we tend to favor the three Archangels, Saints Michael, Gabriel and Raphael who are the only angels named in scripture. 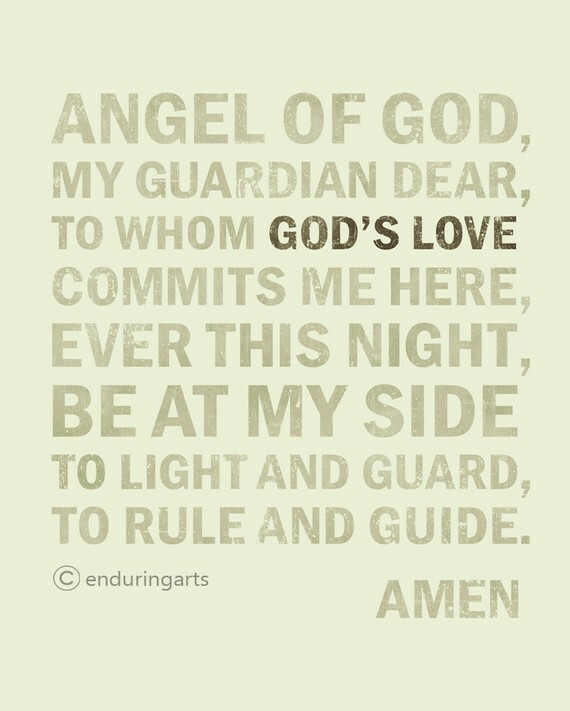 There are also our guardian angels. I love Guardian Angels, those heavenly created spirits whose job it is to help those they have been assigned by interceding for us, guiding us, and protecting us from harm. I’m forever asking God to “put your angels around” someone I love. It’s almost like I can physically see an angel protecting Kristen’s car as she drives or a doctor’s hands as he operates. It’s both powerful and soothing. Whether you believe in angels or not, author Joan Wester Anderson of the bestselling book “Where Angels Walk,” which my mom gave me years ago, writes that “there is overwhelming evidence heavenly beings are very much with us combating evil, bringing news, warning of danger, and consoling us in our suffering.” I prefer to consider these “beings” angels, and I’m pretty sure they walk beside me.